I loved Tammi’s recent interview with Minh Lê, and especially his reminder to picture book writers to keep things lean. As Minh put it so well: if you weigh down the manuscript with unnecessary words/details, the book might never take flight. One way to prune a manuscript is to tell the story strictly through dialogue. I’ve had several dialogue-only books published over the years, but my newest, Hey, Coach!, illustrated by Kim Smith (who visited us to chat about Over the River & Through the Wood last year) is a bit different. Instead of a conversation between two people, there’s a whole team chattering. The team encounters many challenges, like wardrobe malfunctions . . . Illness and injury . . .
And uncooperative weather . . . But, by the end of the season, they finally experience the thrill of victory . . .
Because dialogue-only manuscripts tend to be spare, you may need some illustration notes to clarify intent. 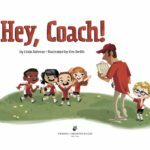 If you’d like to take a look, I’ve posted two versions of the Hey, Coach! manuscript (and others) on my website (find links at the bottom of any page). Want to look at more dialogue-only books? I included a list of ten recent favorites in this ReFoReMo post in March. By the way, if you’re not familiar with Carrie Charley Brown’s and Kirsti Call’s Reading For Research Month, be sure to check it out. They’ve gathered together a treasure trove of reading lists compiled by an array of talented picture books folks (including fellow PBBers) guaranteed to inspire and instruct. Hey, guess what? It’s the TWO YEAR ANNIVERSARY of PictureBookBuilders! So, first of all, many thanks to Jill and Pat for bringing us all together, and to the whole crew for so many enlightening and entertaining posts. Second, in honor of the occasion, I thought I’d give away two signed copies of Hey, Coach! —one each to two random winners. For a chance to win, just leave a comment below by September 30th. And if you’ve got your own dialogue-only favorites, please share! And, speaking of winners . . . 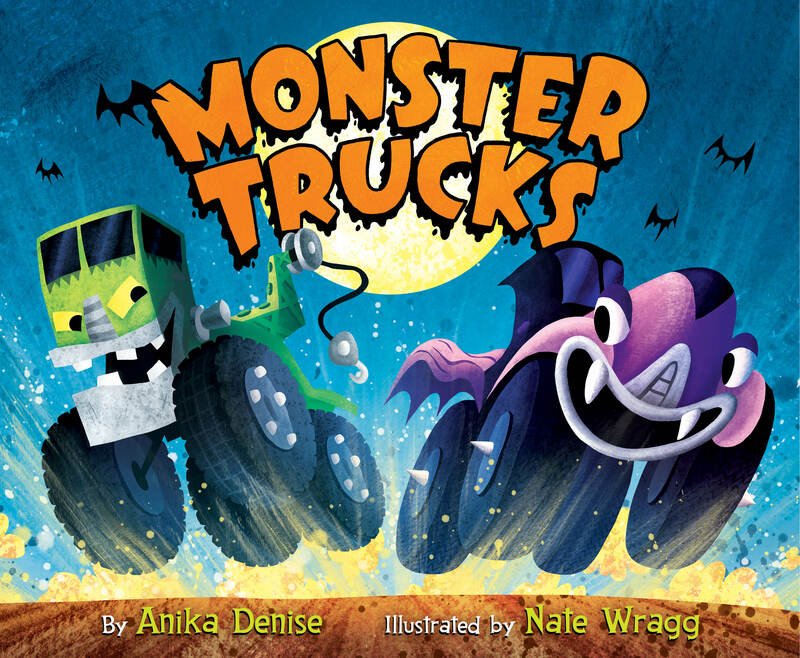 The winner of the Monster Trucks Giveaway is Linda Staszcak. 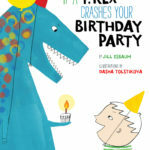 And the winner of If a T. Rex Crashes Your Birthday Party is Mary Worley. Mary, please contact Jill through her website JillEsbaum.com. Congrats to Linda and Mary, and many thanks again to Anika Denise and Dasha Tolstikova for visiting. And, as always, thanks for reading! 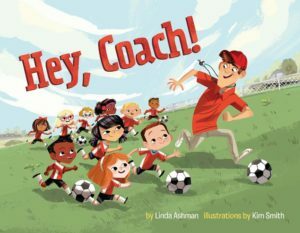 giveaway, Hey Coach!, Kim Smith, Linda Ashman, Sterling Publishing. Bookmark. Linda, thanks for the informative post. I have tried writing a book with only dialog. It’s in my drawer percolating for now. 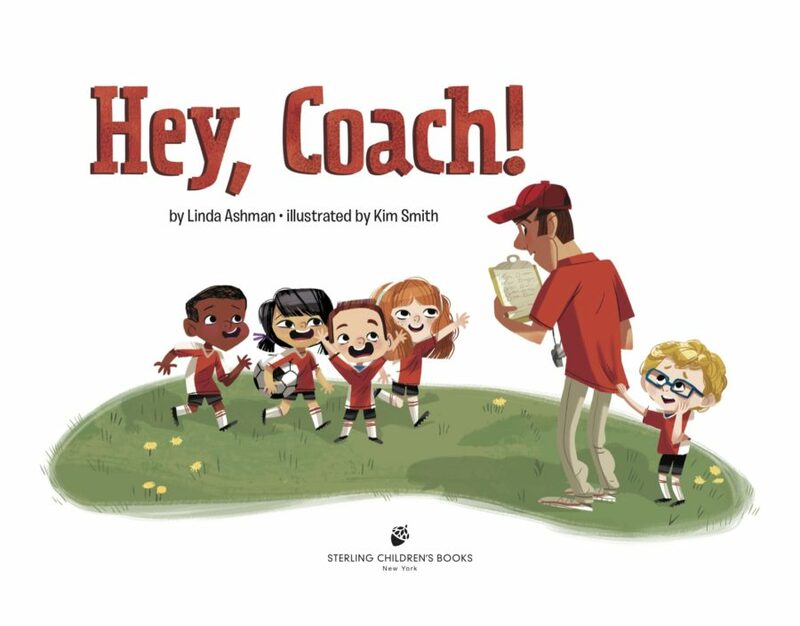 I can’t wait to read Hey, Coach! Hi, Wendy. I hope this helps get that manuscript out of your drawer — good luck with it! What a lovely book Linda! I love reading the text and seeing who said what. And what fantastic illustrations! This is one I’ll be looking out for for my son. Wonderful! Thanks, Reena–I hope your son enjoys it! Thank you for always being so generous with your manuscripts by showing examples of how/when to write the illustration notes. Looks like another fun book. Thanks, Patricia. I hope they’re helpful! Thank you, Linda, for sharing your manuscripts. You always provide such wonderful mentor texts. Thanks, Traci. Nice to hear that! Sooooo cute, Linda! Can’t wait to see it. 🙂 The artwork really pops, and your rhyme just rolls right off the tongue. As usual! Just think–in a few more years, and you’ll be watching soccer games again! Can’t wait to see this book! Oh my gosh! I’m glad I found you! Thanks for sharing. My favorite dialogue only manuscript is the one I’m writing today! A few words and pictures have been rolling around in my head for a week or more, and this post is what I needed to put it on paper. Until this minute, I didn’t know exactly how I’d write the story I’d envisioned…thank you, thank you!!!!!!!! So happy to hear that, Mona. Good luck with it! Love the look and the idea of this book! It’s sure to be a winner! It also took me back to some 2001 t-ball games. Julia’s time in the outfield was mostly spent doing cartwheels and picking dandelions. Many thanks for triggering the memories, creating this book, and offering another sneak peak at a ms. Thanks for a link to the text of the MS. Fascinating! Can’t wait to read the book! Thanks, Debra. Thanks for reading! Oh, good! Hope you like it, Kris! What a fun book. I love the way the rhyme is easy to follow, even though all the kids are speaking. Thank you for this site, your intro’s to authors, illustrators and books, and your generous sharing of knowledge. Congratulations on your 2 year anniversary! Hippo bird day two ewe! Thanks, Sheryl. And thanks for reading! I can’t wait to “study” and enjoy this book. Thanks! Happy Anniversary! I am hoping for many more. This book looks like such fun. I love dialogue only and I love to write dialogue myself! Need to look at the samples on your blog! TY & Happy Anniversary! Will be sharing this post w/a few crit partners also writing dialogue only! That’s great, Kathy! Hope you and your critique partners find it helpful. This looks great! We have a few soccer players in our family, and my oldest’s coach just had a baby. This book will make a great gift for him. Thanks for posting the before and after MS on your website. Very helpful! Thanks, Heather! And my best to your soccer players! I SO need to try a dialogue only book (good practice!!). And, of course, really want to get my hands on this book! 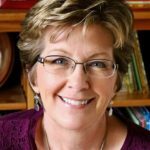 Thanks, Linda – and Happy Birthday, Picture Book Builders! Thanks, Joanne. Yes, give it a try — it’s fun! Looks like a fun book! 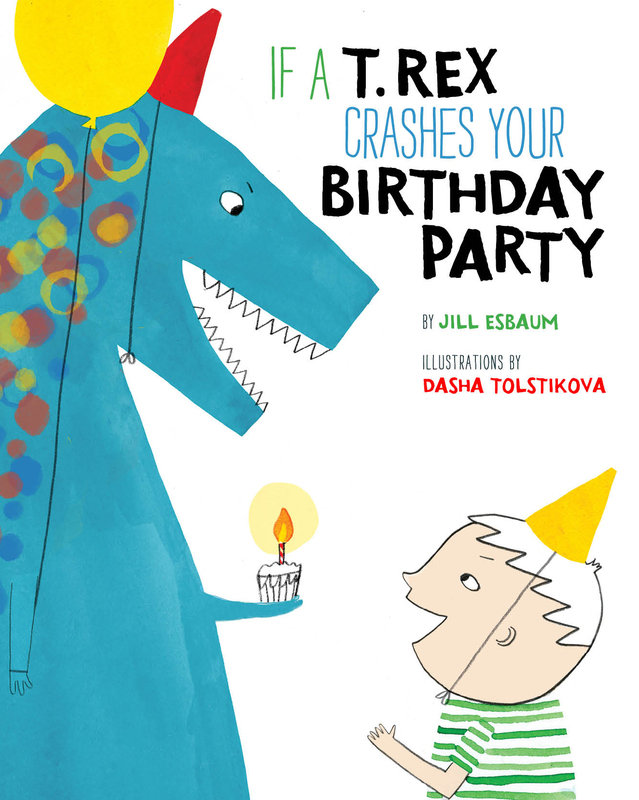 Happy Birthday Picture Book Builders! 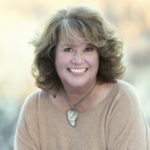 Thanks, Lynn–and thanks for reading! Happy Birthday Picture Book Builders! Can’t wait to read this newest addition and to read the books on the list. How fun! And thank you, Linda, for providing the mentor texts on your website. I loved seeing how Hey, Coach! developed. Happy birthday Picture Book Builders! I can’t believe you’re already two!!! Yes, those two years sure have gone by quickly! Thanks for reading, Judy! My nephew plays and loves soccer! This brought me back to him playing on the field. I would love to share this book with my Kinders. Happy Birthday and thank you for all your hard work for us. Hey, Coach! looks fantastic. I can’t wait to see the rest. Other dialogue only books I love are – It’s a Book, You are (Not) Small, Cheetah Can’t Lose, Here Comes Valentines Cat, I Want My Hat Back, Let Me Finish, This is Not a Picture Book, Elephant and Piggy books, My Name is Elizabeth. Hi, David. What a great list! I know most of them, but not all–I’ll have to check them out! Linda, this looks adorable and perfect. I’m sure my 5-year-old soccer player and my soccer-coach husband would love to read this one together. I love when authors and illustrators disassemble their books for us, Linda…it really helps me see how the elements are working together to make a winning story. My grandson will love this one! 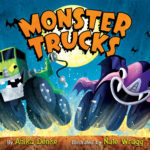 Thank you for Picture Book BUILDERS! Congratulations on this book and more to come. Such a wonderful depiction of kids’ sports! Love it! Ha! Good luck with it, Tracy! This book is darling! I love all the kids and their expressions. Yes, Kim does a wonderful job capturing the humor and energy of these kids. Thanks, Kathy! Hey, Coach! looks fabulous. I have a lot of little friends who will love it. I’m trying to write a manuscript all in dialogue so I appreciate your book and the examples you share. Thanks, Claire. And good luck with your manuscript! Can’t wait to check out Hey, Coach! My favorite dialogue picture book is I DON’T WANT TO BE A FROG by Dev Petty. I really like that one too, Lynne! Thanks for sharing the two manuscripts on your website, Linda. A peek into the process is always interesting. This also takes me back to when my husband and I co-coached our son’s first soccer team when he was 5. Oh, what an experience! Hey, Rachel! Yes, that’s exactly the age I envisioned for the book. They’re so funny (and exhausting)! What fun! Thanks for sharing! And cheers to two years…here’s to many more! I hope he enjoys it, Lori! It really is meant as a tribute to coaches like your husband who volunteer their time to work with kids–it requires a lot of patience! Great post, Linda! Can’t wait to see the book! Thanks, Cathy. Hope you like! Congrats on 2 years! Thank you for your generosity of sharing your manuscripts! Can’t wait to read this book! Thanks, Ann–and thanks for reading! When the universe has its way of sending you help with a manuscript you’ve been struggling with…Thanks for this! Hey Coach has a unique way of using dialogue. I like it. Glad to hear that, Dorothy! Timely post for me as my son’s first soccer practice is Thursday. Looking forward to checking out the full story. And I LOVE your NUTS AND BOLTS GUIDE. Thanks for being so generous with your wisdom. Ha! You’ll have to let me know if it’s accurate. Glad to hear you like Nuts & Bolts–thanks for telling me! Happy Anniversary, PB Builders!!! Love your blog :)! Congrats on another winning title, Linda! This one looks wonderful. As a soccer fan, I’m looking forward to reading it too! Linda, congratulations on what looks like another smashing hit! I can’t wait to read it! Thank you, Linda, for sharing this wonderful book! I look forward to using it as a mentor text. Using dialogue only is no mean feat! Hope you try a dialogue story, Anne. I bet you’ll enjoy it! How will I ever be able to keep up with your books, Linda? I’ve checked every available book by you out of our 3-library system and it’s quite a stack! I can’t wait to see this one, too. And what a clever idea to write in dialogue only. Congrats! Thanks for reading the books, Patricia. Nice to hear! And the blog, too! What a fun story. Short and sweet! I’m working on a dialog-only book, so this really caught my attention. Thanks for sharing your thoughts on it. How timely! Good luck with it, Sue! Your timing could not be more perfect! My current project is a dialog-only pb. Thank you so much, and congratulations on your success! Wonderful! Good luck with your manuscript, Susie! Ha. What a cool book. I’m excited to read it and, I’m sure, pick up some pointers. Hey, Corky! I hope it brings back some fond memories. It’s totally based on our Congress Park Soccer team from years ago. You and Mark were really good with the kids–it’s not easy! As a Grandma who sits at soccer games every Saturday morning, this book is spot on! Must find it for myself! Oh, how fun! Thanks for reading, Cindy. Thanks for sharing! I love dialogue! Fun to read and fun to write. Hi, Pam! Yes, it really is fun to write! I’m certain HEY, COACH! is a must read book that this Oma Sue must read to our grandsons. You have encouraged me to revisit a two character dialogue manuscript that I wrote. I love Over the River and Through the Woods! Looking forward to another great book from the two of you, and what a clever concept! I can tell that you’ve been to a soccer game or two? My husband coached Will’s beginning “Kickers” teams for several years and referred to it as “herding cats”. Well done, Linda! Can’t wait to see it! And cheers to our PBB anniversary!!!!! Yes, herding cats about pegs it. They’re so funny at that age. Takes a lot of patience and a good sense of humor to coach! I’m so glad Picture Book Builders got started…and is going strong. Your posts never fail to add value to my kid-lit education. Linda, thanks for covering this topic. I bet we’ve all wondered how to format a dialogue-only manuscript. And what an adorable book to study as our example. This is wonderful, Linda! Thanks so much for sharing about your process of writing this dialogue-only manuscript — what a challenge that you took on so well. Great work! This is another gem–the book and the post! Thank you for sharing so much with other writers. Thanks, Linda for sharing some insight into your dialogue-only book. I have a dialogue-only ms WIP. This is very helpful as are your actual posted manuscripts with the illustrator notes! Great post. I love the dialog only manuscript! This looks like a great book and an interesting concept. I love hearing behind the scenes and what sparks writers’ ideas. Thanks. I don’t know if I have any dialogue-only favorites. I guess I haven’t been paying enough attention! I can tell you “Float” is my current favorite wordless pb though.